An evening around a campfire is a beautiful thing. One that’s gotten out of control is another. As a leader, you’ve taught your scouts about campfire safety. But did you know you could go a step further? 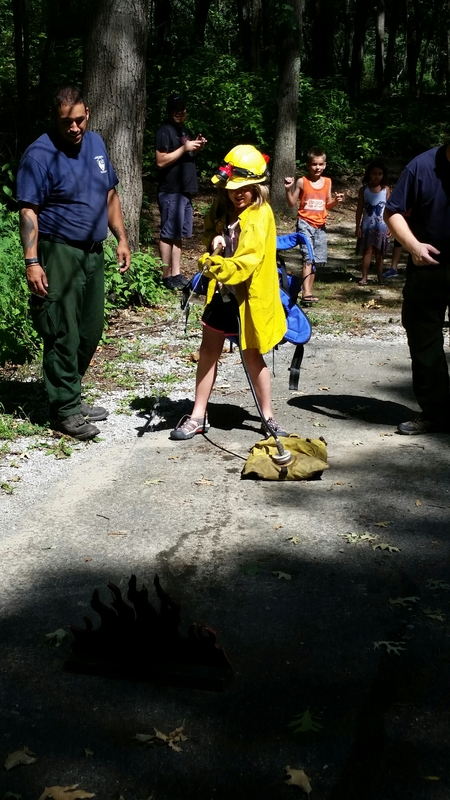 Several National Parks offer a Junior Wildland Firefighter program for kids to learn about campfire safety and the role proactive, managed fires can play in caring for our national parks. This weekend, our family visited the Indiana Dunes National Lakeshore and had the opportunity to share with our fire truck-loving Cub Scout the Junior Firefighter Program. I was shocked, though, by how much my Junior got into it, especially as they began talking about the aspects of controlled burning to restore nature’s balance, especially for restoring flowers that serves as an endangered butterfly’s sole source of food. 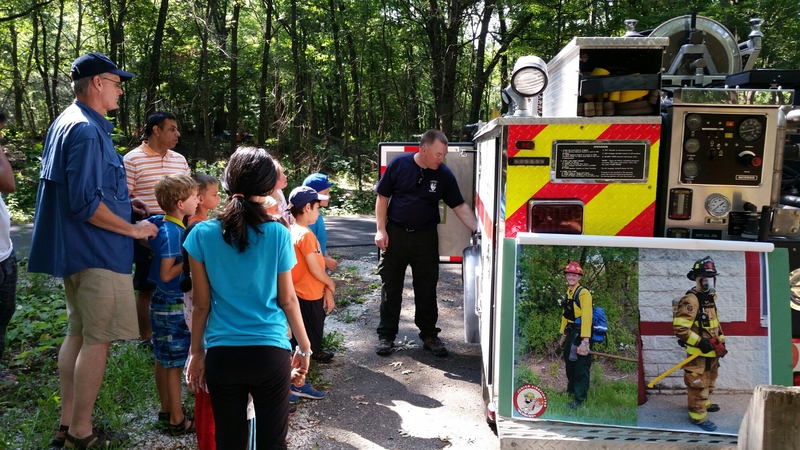 The kids learned about fire safety, controlled burns, how national park firefighters differ from city firefighters, and then they had the chance to try on and test the equipment. The ranger told me they have teachers (and likely scout leaders, too) have their class complete the activity book that you can download online and receive their patches, too! It’s well worth checking out. I can’t wait to investigate this for a possible homeschool co-op activity. Thanks so much for sharing! What a neat idea. I bet my son and his Boy Scout troop would love this. They’re always looking for more outdoor activities. And amen to controlled burns. I’m always sad when I see areas that are too protected that become overgrown and then a bigger problem.